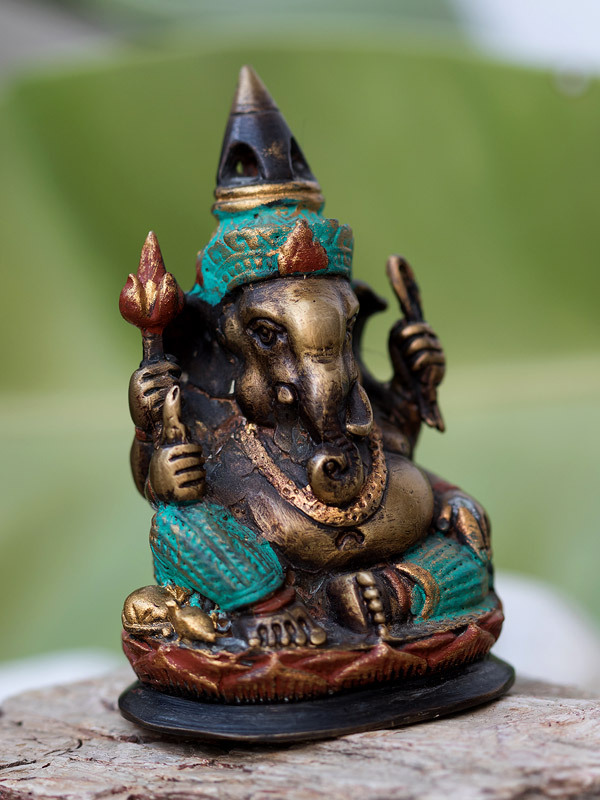 Ganesh Sitting Prosperous, learned and worldly, the delightfully rotund Elephant-headed Indian god Ganesh is worshipped by Buddhists as well as Hindus, particularly among businessmen at the outset of new enterprise, as the Remover of Obstacles. He is also the Patron of Learning to whom students turn at examination time in hopes of success. This jolly Lord of the Good Life dances, displaying his four traditional attributes: an elephant goad, the broken-off tusk that he used to pen the Mahabharata, a lasso, and a bowl of (laddu) sweets. His vehicle, a mouse - said to be accomplished at gnawing through obstacles - stands attentively at his portly side. The spreading hoods of the cobra, a standard feature of Ganesh iconography only in South-east Asia, evoke the muchalindanaga image of the Buddha, popular especially in Cambodia and Thailand. Both serpent and elephant are aquatic beasts propitious to the aboriginal water goddesses of South-east Asia and therefore regarded as especially benevolent and Buddha-friendly. When, for instance, the Buddhas cousin (on his fathers side), Devadatta, attempted to provoke a schism by setting loose a wild elephant in an attempt to assassinate the Enlightened One, the Buddha foiled the plot by taming the elephant and converting him to Buddhism. The Buddha himself was once born an elephant in a previous life; the immaculate conception of his mother, Maya, occurred upon the entry of an elephant into her right side at the point from which the Buddha was later born; and the wild elephant converted from Devadattas assassin to personal votive of the Buddha by pledging to protect the Law, Magnanimity and Prosperity, are all reasons why Buddhists in South-east Asia regard the Hindu Elephant God Ganesh as a friendly and familiar beast-divinity who will promote their personal endeavors. 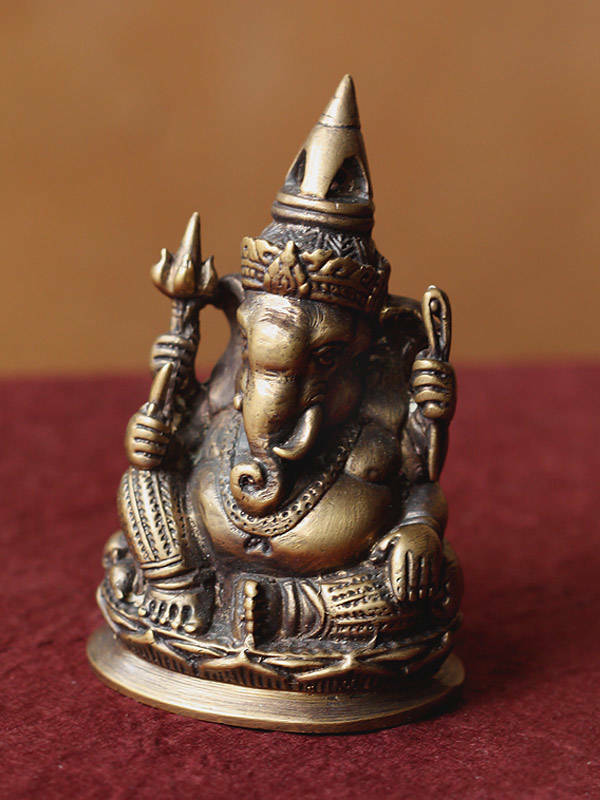 Size : H: 4" W: 3" L: 2"
I collect Ganesh everything and this is a beautiful addition to that collection.